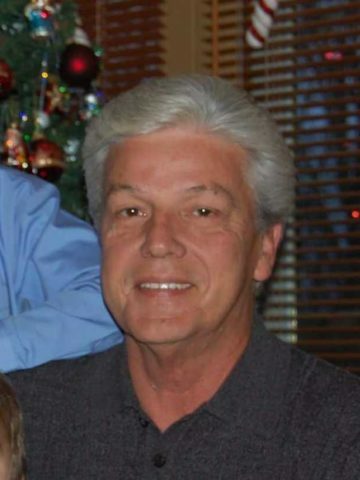 Thomas Wayne Russell, born August 31, 1949 passed away on January 9, 2019. He is preceded in death by his mother Mary Elizabeth Ankenbauer and stepfather Martin Leo Ankenbauer, Jr. and grandson Oliger Chase Russell. Tommy is survived by his wife of 49 years, Brenda C. Russell; sons Douglas Scott Russell, Brian Matthew Russell (Blakely); grandchildren Tristyn Scott Russell, Laine Douglas Russell, Isabelle Grace Russell and Warren Augustus Russell. Visitation will be at Harpeth Hills Memorial Gardens on Sunday from 1:00 p.m. to 8:00 p.m. and again on Monday from 9:00 a.m. to 2:30 p.m. with a Celebration of Life at 2:30 p.m. So sad for us left here. Tommy was such a good guy and will be missed by the ones his life touched. God be with Brenda and family. RIP Tommy! Brenda,and family, my heart is so heavy for you! I was totally shocked to see this on Facebook. I sincerely pray for you that God will give you peace and comfort. You have so many wonderful memories in your heart. I know the journey you have to travel will be hard, but God will carry you when you are unable to go! I am so sorry for your loss, and I will not be able to attend the service because I live in East TN now.but you are in my heart and prayers! Brenda, my heart hurts for you. May God give you peace and comfort as you go through life. We all love you and your family. God Bless and prayers. Brenda , I am so very sorry for your great loss. Please keep the 49 years you and Tommy shared close to your heart. My prayers are with all of the family. Prayers for all of you for peace and comfort. Our hearts are heavy for y’all. Its so hard. Love all the pictures, they are priceless…hold on to the memories sweet friends until you meet again. Our hearts are heavy. Our prayers are many. We shared many years at the schools when our kids were young, and then as adults as grands were born. To me, you were THE model couple and I’m sure you are to many others. Hold tightly to the memories and keep him in your songs. He was always a deservingly happy family man. Your love is eternal. Your faith is strong. You are loved. Brenda You &your family are in my thoughts&prayers.My heart goes out to you &I lift you up before God for comfort that only He can give you at this time Your pictures are great as I know your life with Tommy was .Hold on to those memories ,then lean on Jesus.Remembered you are loved. Brenda, Scott, Brian (grandkids)I am so very sorry for your loss! I am at loss for words, I will keep you in my prayers. The video was a great tribute. Again, so sorry for your loss. Thank goodness for memories. The video was a wonderful tribute to the Russell family. I was crying through the whole thing. There are going to be some rough times ahead but the Russell’s are blessed with many friends and family. You are all in my thoughts and prayers. God Bless you Brenda and family. Keep the memories alive in your daily lives..talk about him, cry for him, pray and pray some more. My heart hurts for you all..God will help you all thru this time of pain..We are sending prayers and love to all..
Prayers for all of you for peace and comfort. Remember the good times and know that he will looking down on you from heaven. We will miss him. Brenda Iam so shocked and sorry for your loss. I just read it in the Observer and I will keep you and your family in my prayers.